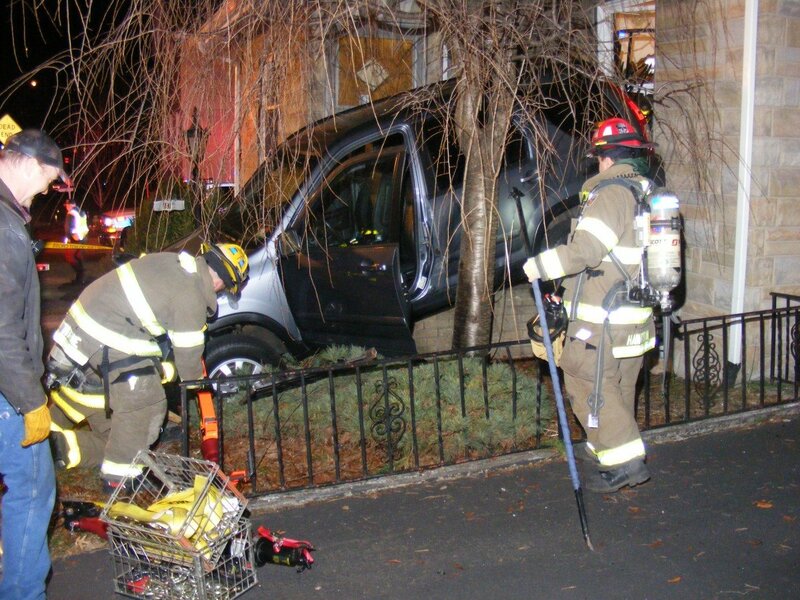 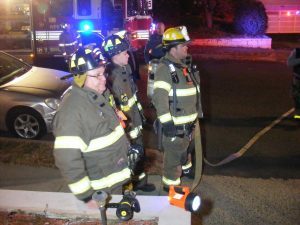 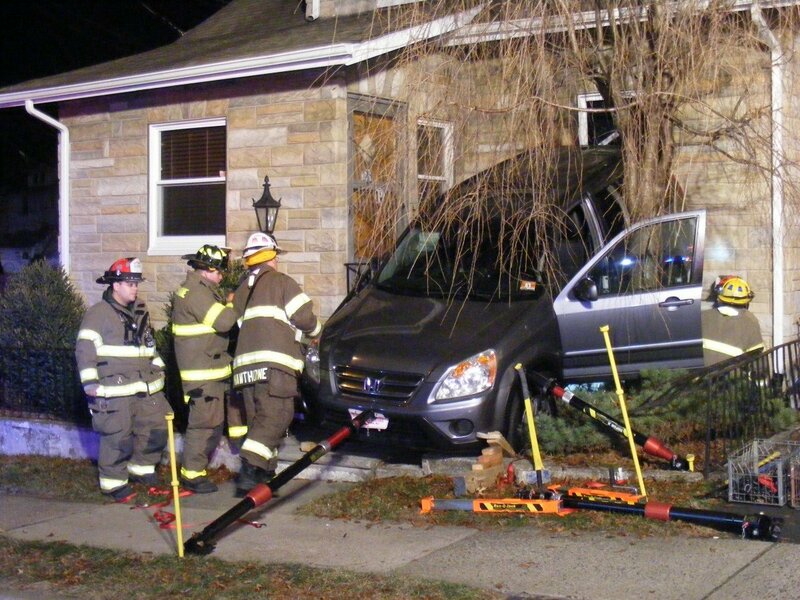 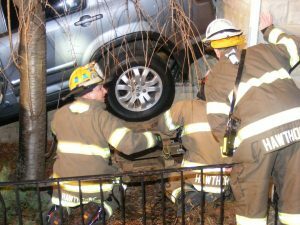 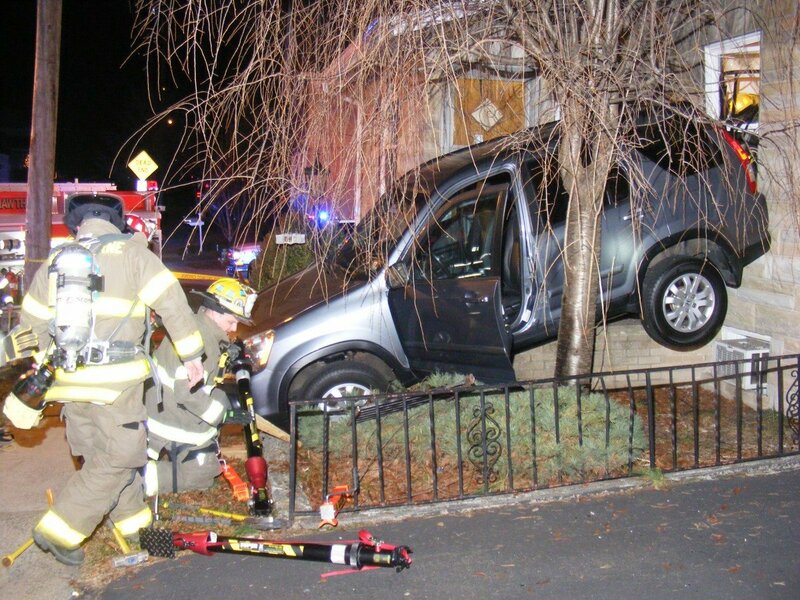 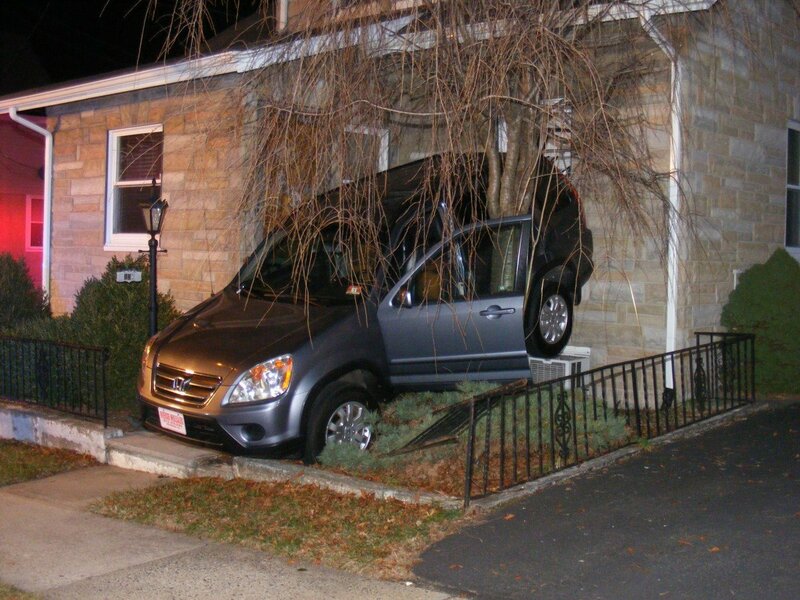 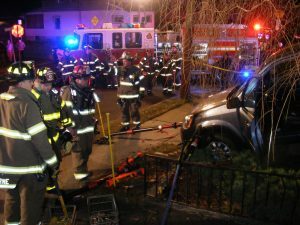 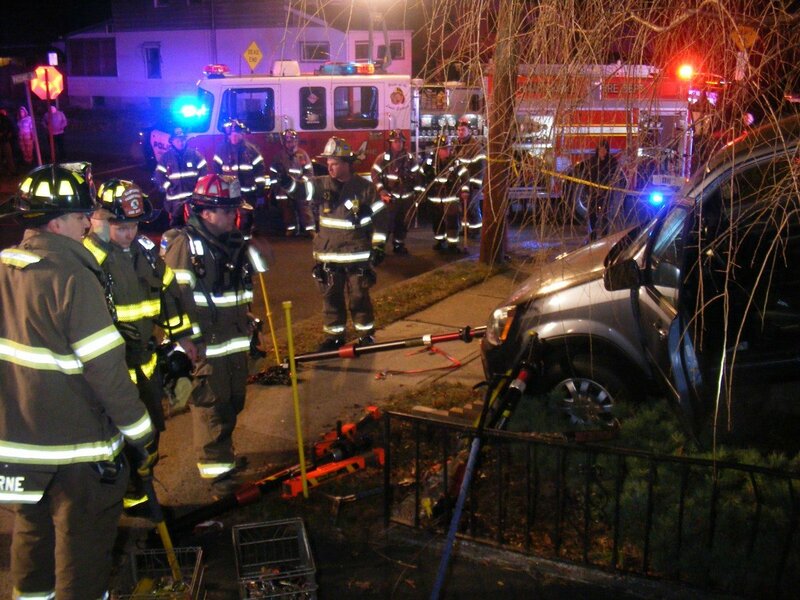 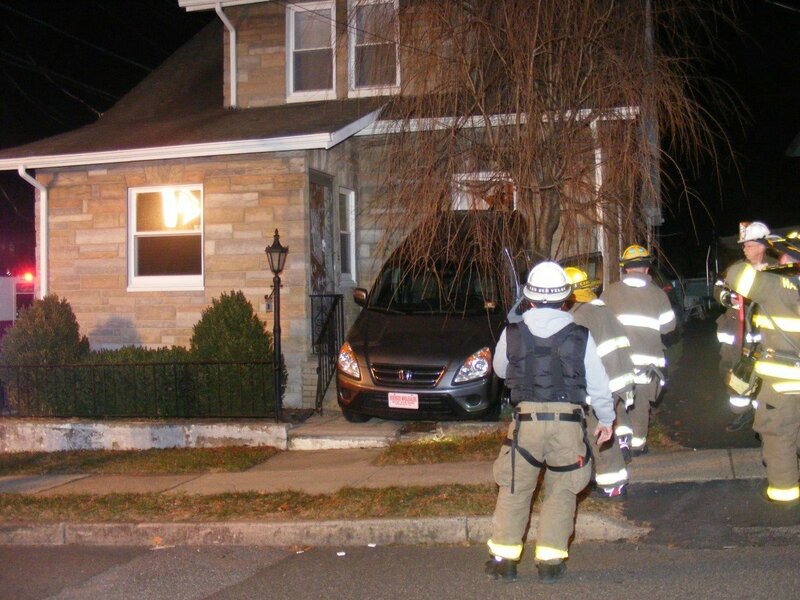 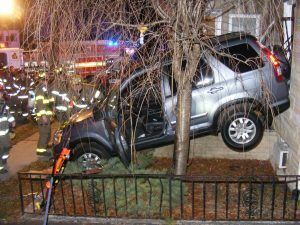 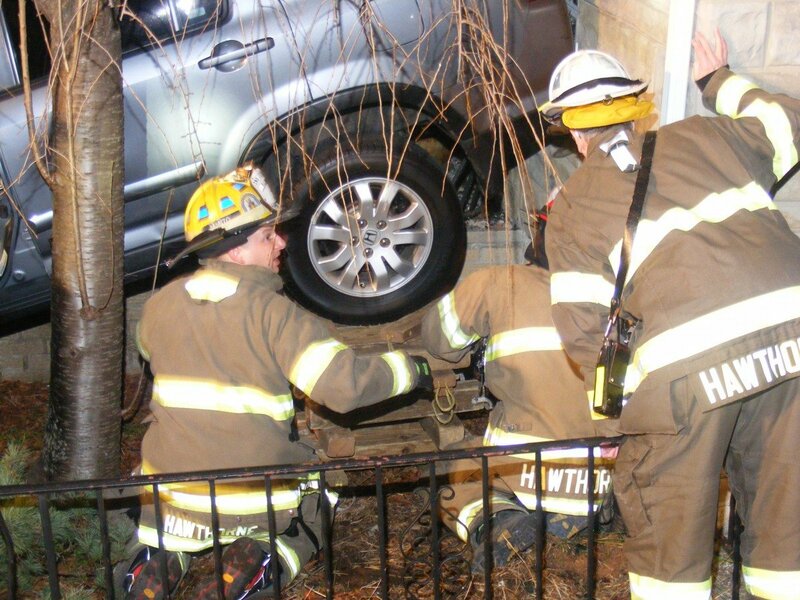 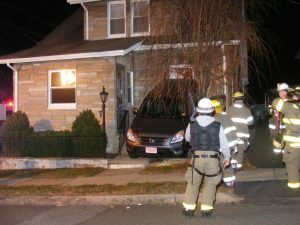 12/11 At 7:20 pm, the Hawthorne Fire Department was dispatched to a MVA into a residential home on 100 block of Passaic Avenue at the corner of Loretto Avenue, Hawthorne. 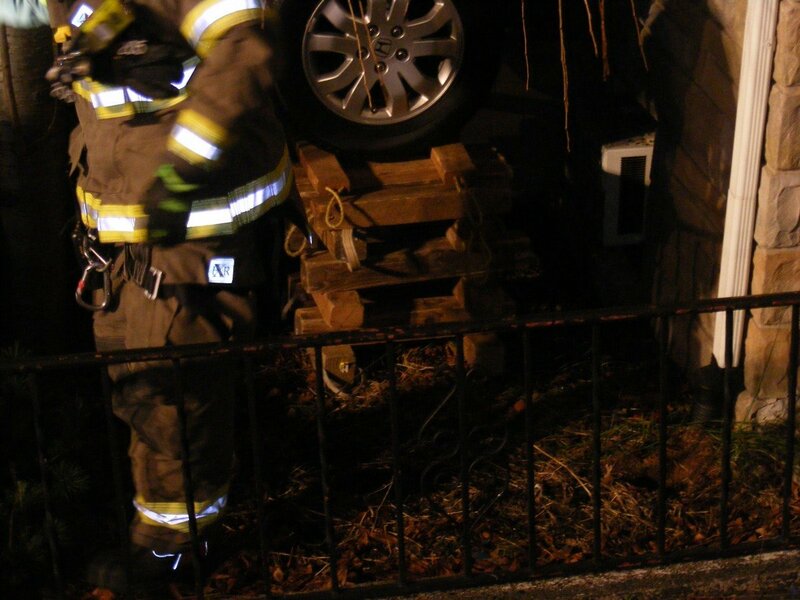 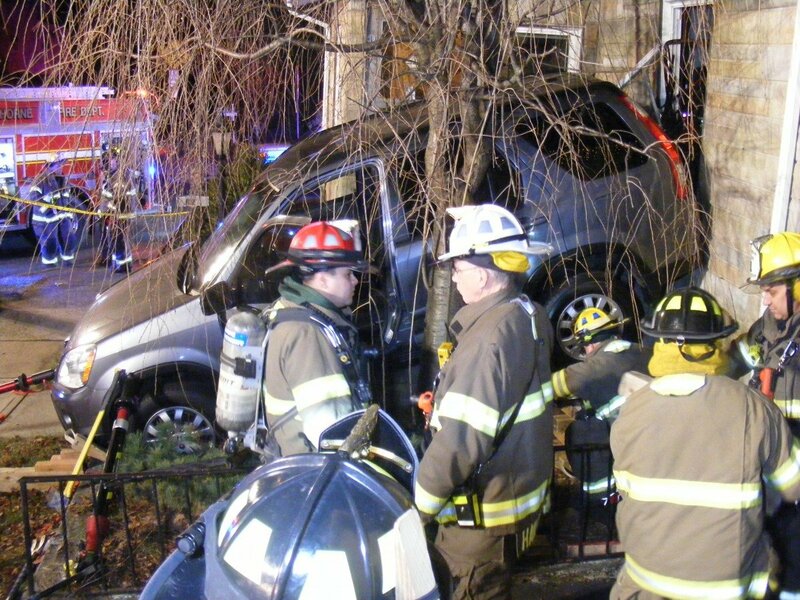 Arriving units, Engine 4, Rescue 5, Engine 1 & Engine 3 went to work securing the SUV and home. 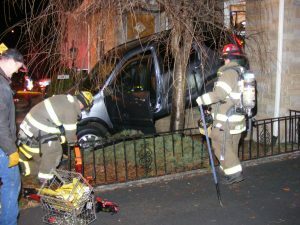 Members stayed until the SUV was removed from the scene.